We are running our Monday class as normal on Monday 7th May. We hope to see you all there! 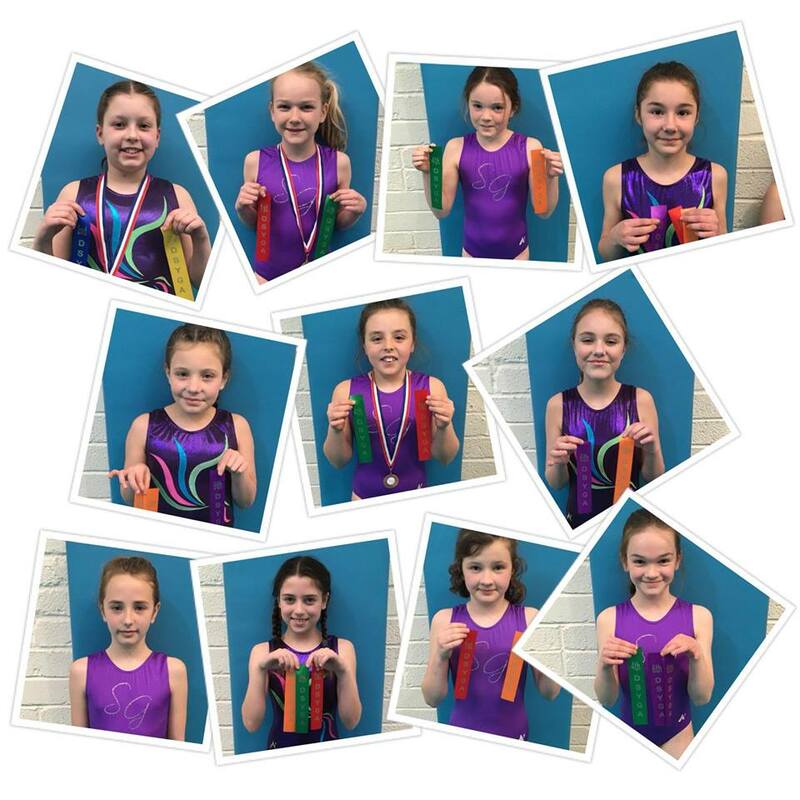 We look forward to welcoming our Gymnasts back to club this week. 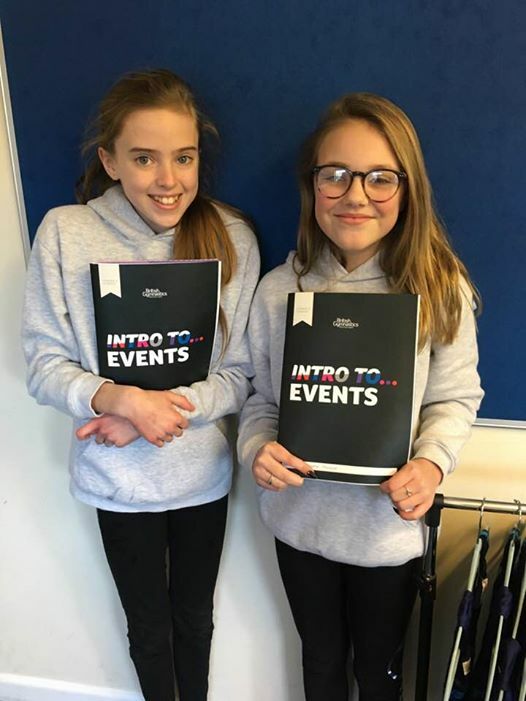 If you know that your child has been asked to move class and are unsure of its timings please get in touch with Hannah, or check the websites class page. All members class fees must be paid by/on their first class back. If your child is a new starter, we look forward to meeting them this week. Please arrive in plenty of time for the class, but remain outside until coaches welcome you in. Your child will need to be suitably dressed to participate in the class, we advise shorts or leggings with a T shirt or a leotard, no jeans. Jewellery can not be worn when participating in Gymnastics. We have plenty of spaces available in our Easter holiday sessions for club members. Please see the information below for the dates, times and how to book on! The spring term watching week will be Monday 26th March, Thursday 29th March and Friday 30th March. We will also be handing out your child’s Badges and Certificates so please ensure you have returned the slip and payment. We look forward to seeing you during watch week! We will make a decision about tomorrow’s classes tomorrow morning. 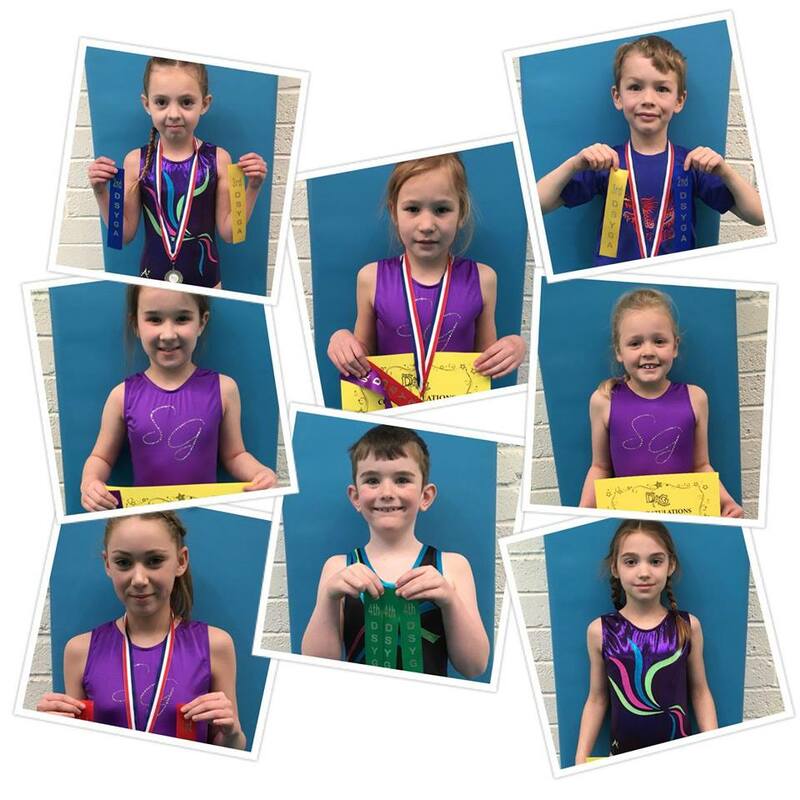 OVERALL: 7 Swanage Gymnasts placed top 3 and 7 placed top 6 overall! When we get back from the half term break we will be working on Proficiency award scheme and Advanced Proficiency award scheme badges. We have a log of which badge your child is working on, however if you are new to the club and know your child has gained badges in a previous club, please let us know which level they are on. Badge assessments will begin on the first week of term and will continue through to the second week. Parents watching week will be running on the last week of term: Monday 26th March- Friday 30th March (Good Friday). We will aim to make our award scheme badge presentations during this week, so book it into your diaries! Hannah took a group of Gymnasts to assist her with her Level 3 coaching modules 2, 3 and 4. It was a very busy afternoon of exams and we are happy to say she passed all 3. Big thanks to all the Gymnasts who helped out. 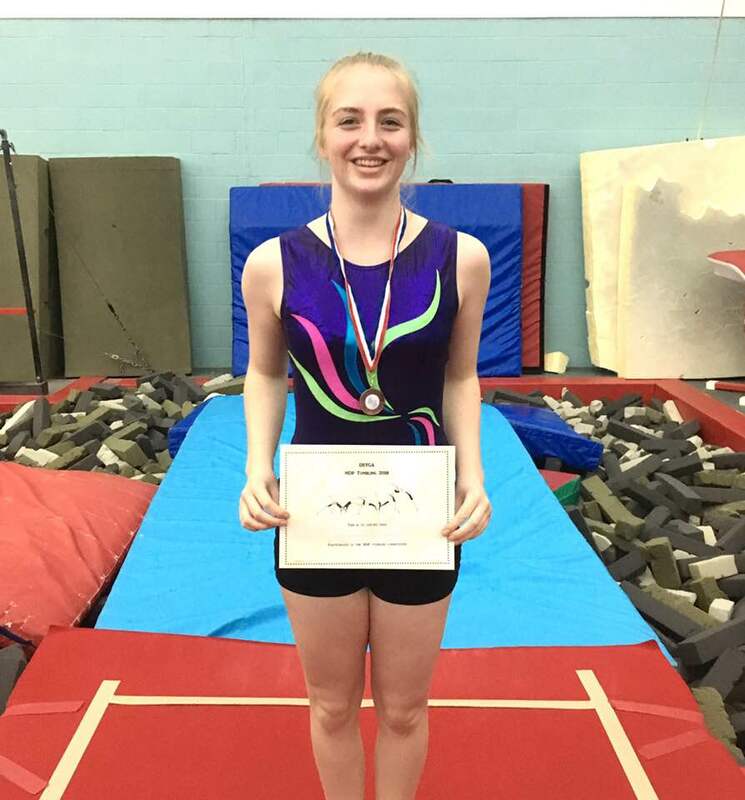 Congratulations to Kerry for attending this years NDP National Level Tumbling held at OLGA. She performed 3 tumbles and a conditioning routine. She placed 2nd in her group for her conditioning and placed 3rd overall giving her a Bronze medal at National Level 1. We thank Chris and Dottie for giving up their time to assist with the competition in their roles as a judge and score runner. Well done all.